Edwards, Janis L. “Echoes of Camelot: How Images Construct Cultural Memory Through Rhetorical Framing.” Defining Visual Rhetorics. Eds. Charles A. Hill and Marguerite Helmers. Mahwah, NJ: Lawrence Erlbaum Associates, 2004. 3595-3904. Ebook. 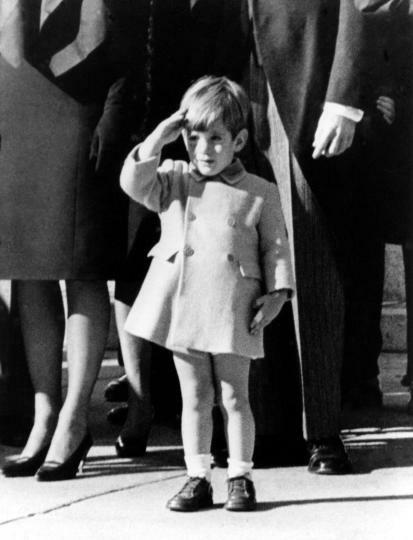 This article looks primarily at the main image associated with John Kennedy, Jr.–the image of a boy in short pants saluting his father’s casket, after framing and practicing the argument on the flag-raising image from 9/11. Edwards argues that “images disseminated in connection with newsworthy events become attached to the event in the form of cultural remembering” (3595 of 6169). Images can “express particulars to evoke the universal” (3600 of 6169). According to Edwards specific images “create larger rhetorical frameworks that revive and reimagine the narratives that constitute cultural myths” (3611 of 6169). Iconic photographs “expand representation” (3622 of 6169). The image’s reproduction was not simply as a photograph, even when cropped in various ways. Instead, it was also referenced verbally (3654 of 6169). When John Kennedy Jr died “news outlets and editorial cartoonists linked the tragic and premature deaths of father and son” continuing “a narrative of national regret over unrealized potential” (3676 of 6169). When they are used out of historical context, they refresh the memory and associate it with the new experience. The photo acts as an argument, saying that this new thing is related to the old thing (3687 of 6169). Edwards examines the JFK Jr photo in relation to Perlmutter’s “eleven characteristics of outrage-provoking photographs” (3732 of 6169). The eleventh discusses the composition of the photograph as it is most commonly reproduced (3787 of 6169). Edwards discusses the editorial cartoon appropriation of the image (3799-3869) discussing the recontextualization of images. Perlmutter, David D. Photojournalism and Foreign Policy: Icons of Outrage in International Crisis. Westport, CT: Praeger, 1998. Zelizer, Barbie. Covering the Body: The Kennedy Assassination, the Media, and the Shaping of Collective Memory. Chicago: U of Chicago P, 1992.